President Koroma is yet to prove that his government is fit to manage the affairs of the country, as the abuse of office by ministers and senior officials continues unabated. While the international community may now be scratching their heads, thinking about whether to renew their faith in the ruling APC, there is little doubt confidence in the government has waned. 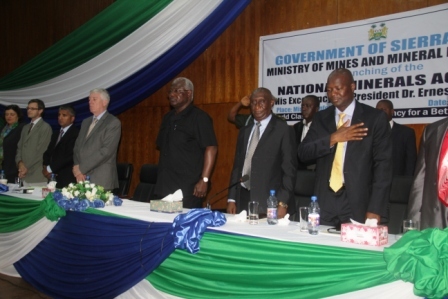 So far, there is little evidence president Koroma and his ministers are capable of transforming Sierra Leone from the economically fragile state they inherited in 2007, to a country that is ridding itself of poverty, corruption, graft and poor governance. A statement made by the Executive Directors of the African Development Bank (AfDB) published last month, could not have been more honest. But the AfDB is under no illusion about the uphill task ahead, in rolling out its “New Deal for Engagement in Fragile States” – choosing Sierra Leone as its pilot study. 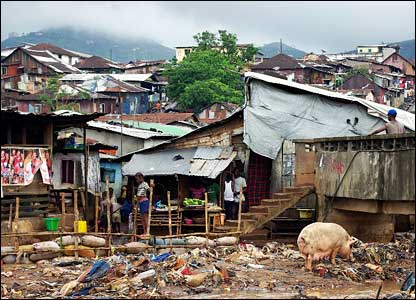 But what are these drivers of fragility that are impeding Sierra Leone’s development, despite the international community pouring more than $300 million in aid every year? This is a very serious indictment for a government that prides itself in having one of the best leaders in the African continent, and superfluous claims of presiding over the second hottest economy in the world after China. The AfDB will work with the government and other agencies to enhance economic governance, as well as the transparent management of the country’s natural resources revenue. The AfDB has an active investment portfolio in Sierra Leone valued at more than UA 116.1 million, which it says is supporting 10 on-going development programmes in the country. 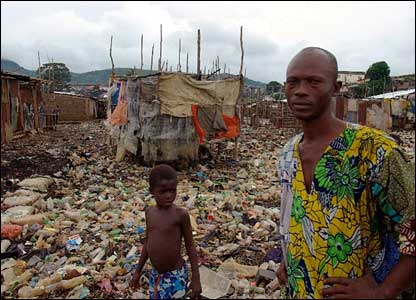 Lack of clean, safe drinking water and poor sanitation contributes to nearly 70% of all deaths in Sierra Leone. But despite prioritising water and sanitation in its Agenda for Change, it is obvious very little has changed, because of poor governance, corruption and lack of leadership. The AfDB in partnership with the UK Department for International Development (DFID-UK) and Global Environment Facility (GEF), have announced a funding package of $43 million (UA28.845 million) in support of Sierra Leone’s Rural Water Supply and Sanitation Project, to help improve access for more than two million people to clean, safe drinking water. 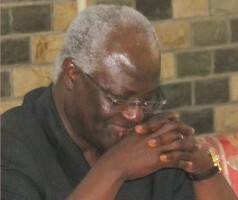 If the main goal of president Koroma’s Agenda for Change was to alleviate poverty, then he has failed miserably. Now there is talk of another Agenda: ‘The Agenda for Prosperity’ which critics say is solely designed to make a few people in the ruling APC party very prosperous. And in the wake of the AfDB – DfID clean water funding announcement, the country’s Anti-Corruption Commission has conveniently lost another high profile court trial it needed to win, if it is to improve its credibility. Last Friday, the corruption trial involving five senior government officials, including a close political ally of the president collapsed. They were indicted to court for embezzling almost $1 million, meant for eradicating childhood malaria in Sierra Leone. According to the High Court Judge, the ACC failed to provide credible evidence of misappropriation, adding to the long list of bungled and botched corruption cases brought to court by the president’s cousin – the incompetent ACC Commissioner (Photo). Sources close to the ACC Commissioner say that he is now seriously considering his resignation, but the president is leaning heavily on his shoulder to stay on in office. The stolen money was part of a $5 million GAVI funds to which the American millionaire – Bill Gates, had substantially contributed. Not surprisingly, the government has this week announced that it will be sending a delegation of senior ministers – including Finance Minister Marah and Information Minister Kanu around the world, on a globetrotting exercise, looking for foreign investments it had failed to attract after six years in office. But with last month’s statement by the AfDB, accusing the government of president Koroma of poor economic governance, investor confidence is now in very short supply. 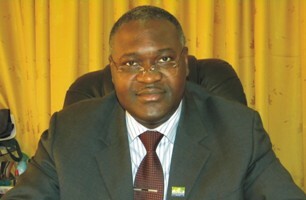 The government of president Koroma has inadvertently written its own death sentence. Regime change in 2018 seems certain, but is the opposition SLPP a viable alternative?